Something new I’ll start doing every Saturday, Derpy Review! Someone said EqD use to do this, and it sounded like a good idea. Besides my own review, I have linked news pieces from both EquestriaDaily and EquestriaGaming from the past week. After doing EqD’s links, I can see why BlogBrony doesn’t do a review, he has a ton of news. So lets begin. – Owl’s Well That Ends Well airs, seems to be a 50/50 episode like several others, more or less some people think its great, while others think it was crap, and of course a few in the middle. Of course it can’t top the CMC episode of last week, but very little can. We are now left with the depressing fact that there is only two more episodes left to this season. Next season has not been announced, but speculation predicts October, as I think its been said that season 2 production wraps up in December, and this is more or less in line with how the first season ran production wise. – Friday Morning Music Videos: Myskinsoft Pony Remover (recommended, I found it addicting), Rainbow Gradius, Winter Wrap Up (at the Everfree Forest) and Lunar Eclipse (Luna’s Theme), both also recommended. – MLP:FiM Flash Game Story Contest: The development team of the MLP:FiM Flash Game are looking for a story that will fuel their game, see link for details. – Polish Subtitle Episodes now available from ObessionOctopus, found in this playlist. – MLPMMO Update: There’s been plenty of updates, this was the sprite test where you can fly around Fluttershy’s house. StrawberrySpice over at EquestriaGaming wrote up a review, which I send you people to. – EquestriaDaily crested 3 million page views. – Derpy Forums was resurrected, though still expected to be a ghost town with random vistors, like Scooby Doo. – Hub Pony Easter Marathon: Starting at 11am EST, the Hub will be playing Swarm of the Century, Winter Wrap Up, Feeling Pinkie Keen, and Owl’s Well That Ends Well. If we are lucky, TrollHD will be recording that day, and we’ll get HD versions of Swarm of the Century & Winter Wrap Up. Also its been noted Call of the Cutie (ep 12) has also been ripped in raw HD, Mentos will probably be encoding that this weekend. – MadMax’s Derpy Comic, filly Derpy blows up a chemistry project due to RD’s Sonic Rainboom, thus caused her to have Derpy eyes. – Summer Sun Celebration Contest: A contest being held by Plaster for musical videos, AMVs and whatnot, though no Fanfics as some people noted. Contest ends June 20th, and will be judged by MadMax, Purple Tinker, Plaster, Eurobeat Brony, Blog Brony and myself. – My Little Pony: Friendship is no longer available due to a copyright claim by Hasbro: Youtube Poop video that even has people who are not overly fans of YTP, loving it. – My Little Turret, awesome portal crossover image. – Twilight’s Theme (Vanquishing the Ursa Minor) by David Larsen. If you enjoy his work, it should be noted that he will be working on the music for the MLP:FiM Flash Game. – Pony Plushies & Pony Pins: Unknown but somepony out there creating awesome plushies, and then pre orders from Kanamai who made the RD Pins for a new set that includes all of the staff. – VGCats confirmed Brony: VGCats.com puts out a Pony related comic, very mixed reviews. Random note, a comic called ExterminatusNow which can be described as a Sonic The Hedgehog art style comic (has nothing to do with Sonic outside the general character designs) is also confirmed Brony, they did not make a Pony comic but the artist behind the comic “The Virus” made pony art. – MLP:FiM Flash Game put out a tech demo, people realized that no, the project isn’t dead. – Concept Art is released (though its been pointed out it was released several months ago), but just been noticed again. 3 Million Hits! Luna Time! Poll Results: Who Has the Best Voice? Winged Pinkie Pie Concept Sketch Up on Ebay! Weird Al Joins the Pony Legion? 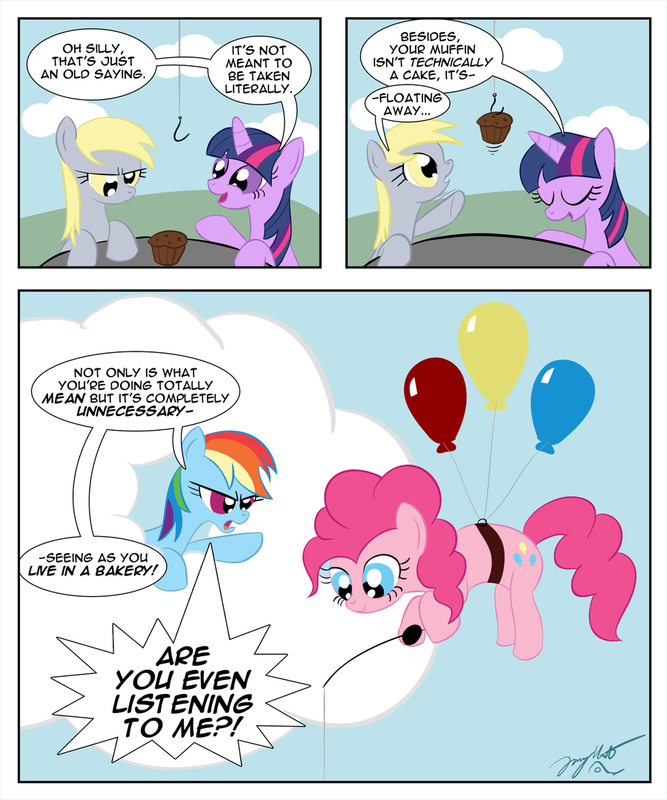 Milenio Publishes a Pony Comic! Project: Merch Surveys Are Complete! 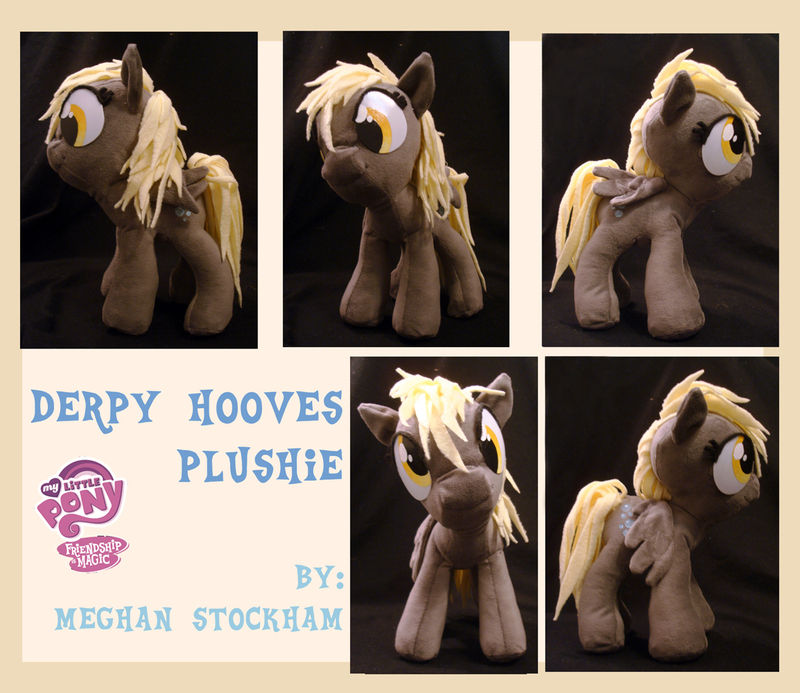 Lauren Faust’s Derpy Hooves Up On Ebay! Rainbow Dash Pins Have Arrived! Pony Pin Pre-Orders going up! Poll Results: Which Filly Had the Best Scene in Cutie Mark Chronicles? Instrumental: So Many Wonders + Vocal After the Break! Official Pony Cell-Phone App in the Works!